In March 1969 Peter Brand of the iconic Belfast store Brands and Norman decided to set up a cancer charity in Northern Ireland. Brand had just survived testicular cancer and wanted to give something back. He was shocked to discover that there was no cancer research or clinical trials taking place here. He and others founded the Ulster Cancer Foundation, now known as Cancer Focus NI. Four months later Neil Armstrong stepped onto the surface of the moon and declared it a “giant leap for mankind.” We were said to be on the cusp of a new age. If we could walk on the moon surely we could solve pretty much anything, including cancer. It was a startlingly optimistic statement. 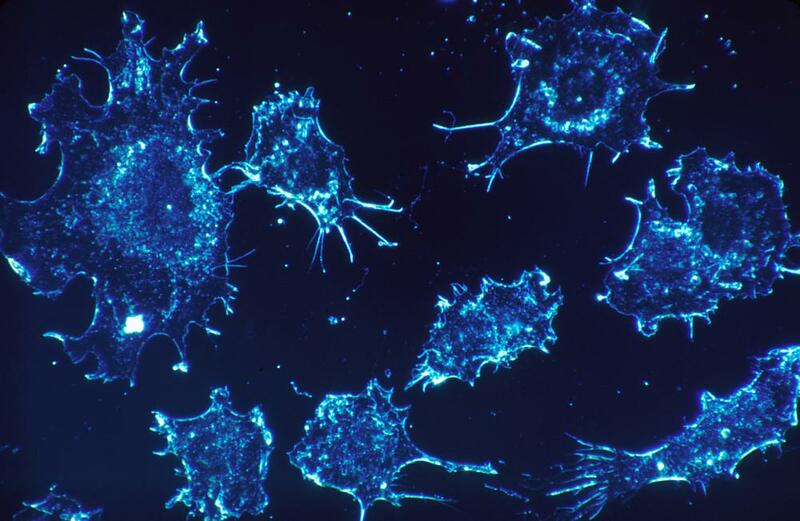 At that time very little was known about what causes cancer or even what one is. It is now known that it is not a single disease, but hundreds or different ones, and, because there is not one cancer, there isn’t one cure. Yet for all the blind faith, extraordinary progress has been made in the past 50 years in prevention, treatment, and in some cases cures. If there has been a war on cancer, then it has comprised of hundreds of skirmishes all over the world, not least here in Northern Ireland. Back in 1969 the link between smoking and cancer was known. It had been confirmed in a report published in 1962 but public awareness was still developing and the big tobacco companies were fighting back with their own propaganda. Cancer Focus NI launched the UK’s first smoking cessation clinic in 1974 and has been prominent in campaigning on prevention ever since. At that time 50% of adults still smoked. Smoking was accepted in bars and restaurants and on planes. Many still saw it as glamourous. Today, thanks to public health campaigns and punitive taxation just 19% smoke. This is still too many but it is dramatic progress. Treatments have improved too. We still rely on surgery, radiotherapy and chemotherapy. But the developments in micro surgery means it can be less invasive. And radiotherapy is much more targeted than it used to be. More exciting still are recent breakthroughs that hint at kinder and more effective treatments to come. Last year the Nobel prize for medicine was shared by Jim Allison and Tasuku Honjo for their work in harnessing the body’s immune system to fight cancer cells. In very crude terms cancerous cells have mechanisms which prevent the body’s immune system from recognising them for what they are. These new techniques unmask the cancer and the immune system's killer cells can go to work on them. This is leading to the development of a host of new drugs some already in use, many more in development. The NHS is introducing one treatment called CAR-T therapy. It is being used to combat some blood cancers. It works by genetically engineering the patient’s immune system to recognise and destroy cancer cells. In trials results have been astonishingly successful. The problem is the expense. It costs £340,000 per patient, far above the NHS’s current ceiling of £50,000 per year for an end of life drug. However a deal has been struck with the manufacturer Novartis and it was used for the first time earlier this week. Successful introduction of advanced therapies will involve price negotiations with the pharmaceutical industry. Roisin says it is a difficult balance to ensure that companies producing drugs make a reasonable return on their investments. “There is a difference between profit and profiteering,” she said. This is an international problem which can affect whole nations as well as individuals. It is manifestly unfair that the latest treatments are only available to the rich. The Association of European Cancer League is currently campaigning on this issue. Breakthroughs in genetic research are also exciting – opening up the prospect of being able to personalise medicines for treatment based on the genetic make up of patients. Pricing issues apart, this is an exciting time for cancer research. Roisin points out that we have already passed the point where more people survive cancer than die from it and that in some cases the effects of early intervention are dramatic. So in cases of bowel cancer, for example, there is a 94% survival rate if it is identified early. Testicular cancer that Peter Band survived now enjoys survival rates of 96% (it was 68% in the early 1970s). In 2008 vaccines were introduced to combat HPV which can cause cervical cancer. All young girls in the UK have been vaccinated since 2012. It is hard to say whether this will prove a complete cure, but it does mean that successive generations of young women are much, much safer. Survival rates vary considerably. In the case of pancreatic cancer it is just one per cent after 10 years. Lung cancer survival has risen over the past few decades but remains stubbornly low at 5%. So whilst the overall picture is positive, with some now manageable, others elude research. A good way of thinking about this is that suppose someone is diagnosed as having a form of cancer at say 65, but that the condition could be kept under control for 20 years with minimal impact on lifestyle, that opens the possibility of cancer become a manageable condition for most of us. This is not a cure, but it would be significant progress and take much of the fear out of cancer. An example is prostrate cancer - present in many older men. Often it develops very slowly. Men can now decide to avoid an operation with unpleasant side-effects: impotence and incontinence and instead opt for "watchful waiting". This allows treatment to be deferred until it is needed. As a result men will increasingly die with prostrate cancer rather than from it. Meantime Cancer Focus NI is funding a piece of research that could make a huge difference to women with breast cancer. Women who develop a breast cancer have a risk of developing a second cancer in their other breast. It is not known whether these second cancers represent spread from the first breast cancer or whether they are true, new, second tumours. This creates a dilemma for clinicians: whether they should recommend both breasts be removed when cancer is found in one of them. The project is analysing tissue samples from women who have had breast cancer. The results may allow clinicians to identify women who are at increased risk of getting a second breast cancer and may therefore benefit from having both breasts removed at the time of their original diagnosis. Conversely it will reassure women at low risk who can then avoid the unnecessary removal of both breasts. It is an important project and an important contribution to a rapidly growing understanding of cancer. Nixon’s war is far from over, but the good guys are getting the upper hand.